This couple (Lemington Ridley and Lorcan Mullany) were fantastically expressive dancers, swapping lead and follow so seamlessly and dancing with such musicality it was difficult to focus on other dancers at the event. 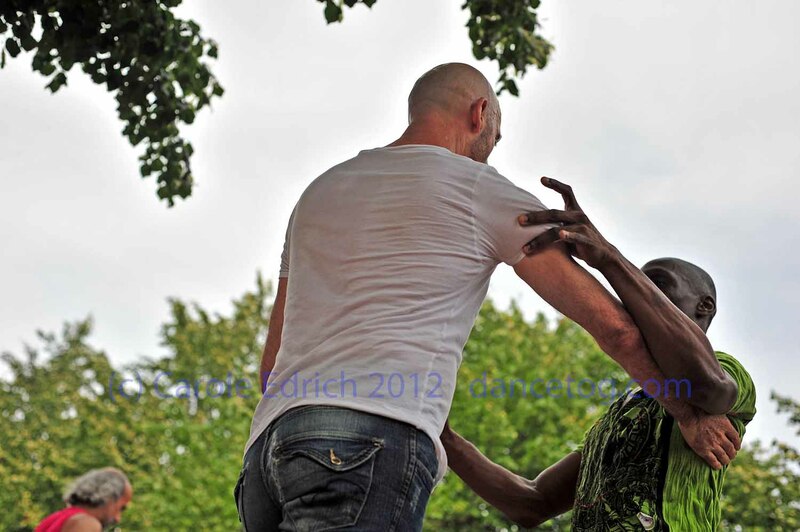 One of two al-fresco dance weekends that are arranged by Kele Baker every year, tomorrow will see Tango Al Fresco which, as the name suggests, is specially for those wanting to dance Argentine Tango. I wouldn’t normally post while out amd working, but I decided to take advantage of the time it’s my news images to upload. It’s a really beautiful day and only two couples in the entire event said they didn’t want their pictures taken (although it is completely legal to take and publish photographs of people attending public events I asked Kele to let everyone know what I was doing as a matter of courtesy). I have loads of shots from today and no idea how long it’ll take to process them all, but will post on this blog when I do. Meanwhile, if you like watching people having fun dancing or if you like the idea of dancing Argentine Tango in Regents Park, why not come to the event tomorrow? Beginners class at 1:00pm, then dancing until 6:00pm ish. You can see Lemington expressing his dancing talents in this post too.